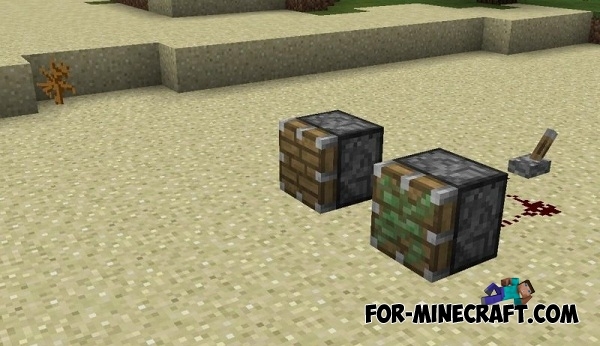 This mod adds a normal / sticky piston and command block in Pocket Edition because redstone is not yet fully realized. 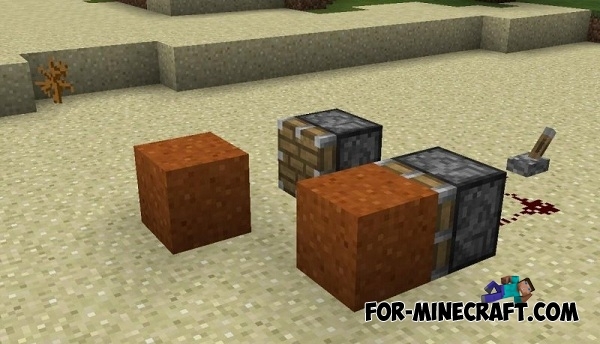 Normal piston interact with blocks using a charged redstone wires by pushing them in the right direction and pushing them in the right direction. 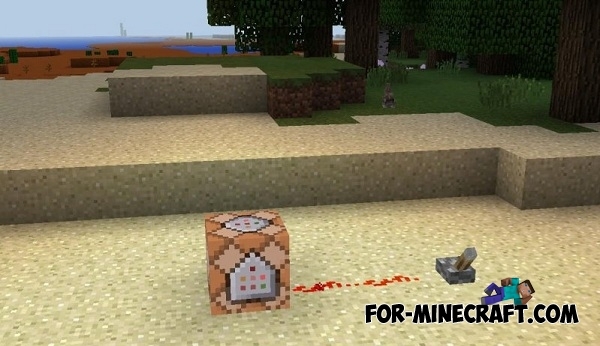 And sticky piston moves the block to back after deactivation. 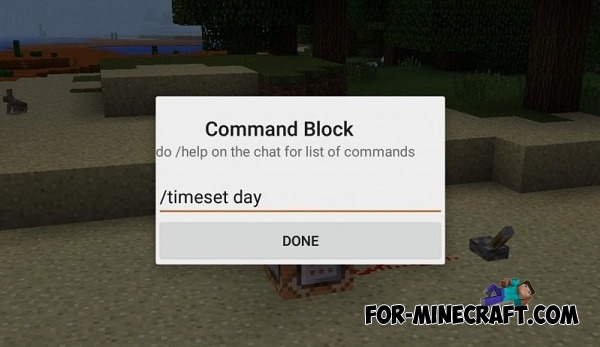 This block may change the day and night using the commands /timeset day или /timeset night in version 1.1.